For anyone who has ever wondered if there is something beyond our everyday existence, for every person who has felt the pain of someone close to them passing over, for any person who still grieves for that someone, this is likely to be the most emotionally raw, soothing, healing and ultimately uplifting book you will ever read. Within these pages, Ross shares the intimate and extremely evidential messages that some of his most bereaved clients received from their loved ones who have passed over. Written from a down-to-earth perspective and using the words of his clients, the reader will see from the first page that Ross will take us on a journey from earth to heaven. His stories demonstrate not just that our essence, our spirit and soul survive physical death, but that after we pass over we continue to be able to watch over, and visit with those we love and left behind here on Earth. These stories will show that yes, we all have eternal life and in fact, we can’t die for the life of us. Ross explains what the spirits say it’s like in heaven, what they do, how they remain closer to us than most of us could ever imagine; and how they communicate with him, how they try to communicate with us all, and how mediumship itself is possible. These stories don’t advocate what to think or how to feel. They simply share that miracles happened to everyday people, and ask you to decide for yourself. It doesn’t matter how old you are or what you have believed in the past. 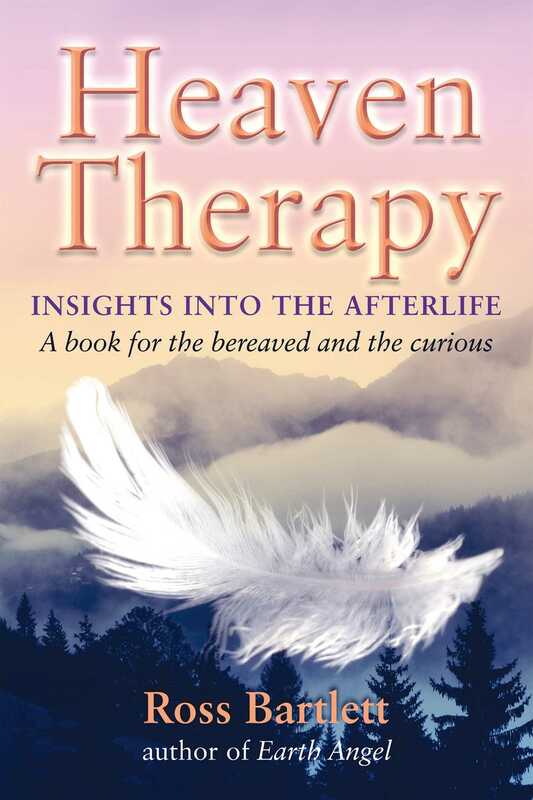 Ross also offers his own reflections on the afterlife, mediumship and his research from his master studies into the efficacy of 'heaven therapy' in the field of bereavement counselling. Blending this together with the accounts of his clients this book brings an underlying message of hope, everlasting love and peace, which truly soothes the soul. Ross’ words and message within these pages warrants reading by all.